Winter and words to talk about it! 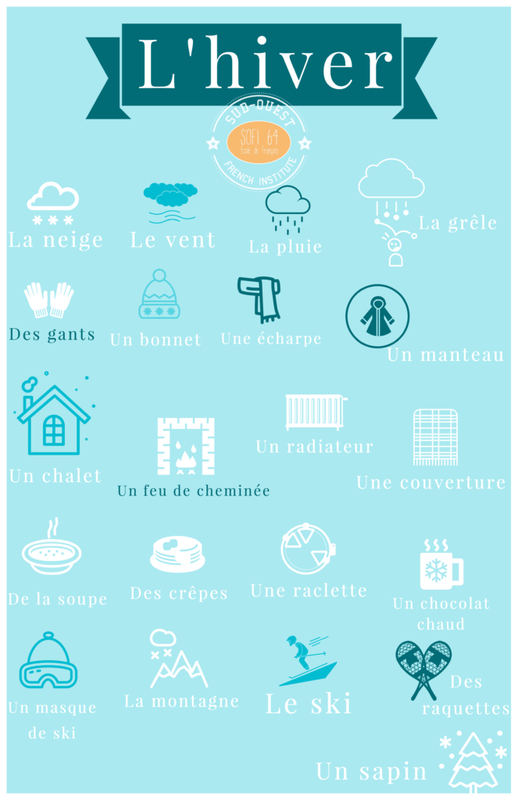 French words for Wintertime ! It is true, we are only on November 20th but it feels a bit like winter already. It is time to practice your French vocabulary. 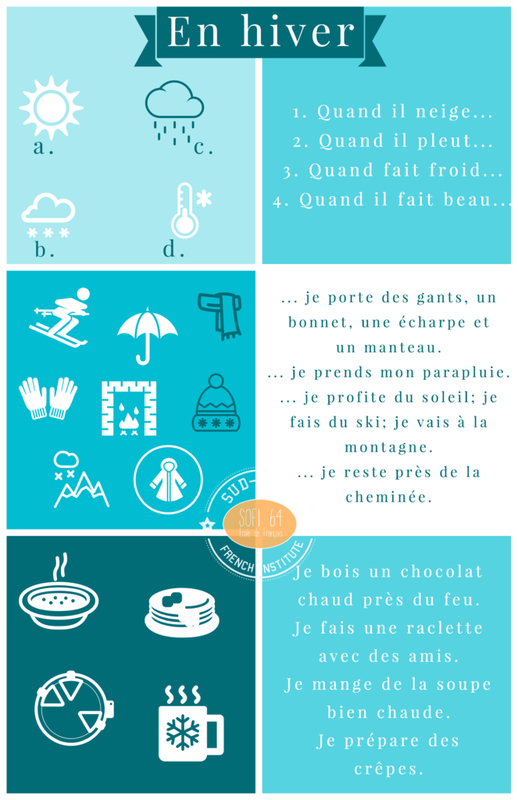 That is why we decided to make two posters you can use to learn vocabulary relating to winter. Our first poster will be giving you words associated with icons. Our second one will help you reuse these words with ideas and sentences. Exercise: First, associate the beginning of sentences with icons; then, finish the sentences before matching them again with icons.